Free for personal use. A license is required per user for commercial use. The license dll will be sent by e-mail within 48 hours after purchase. Fixed crash with rectangle zoom in case of flat/empty rectangle. Fixed crash rendering OLE image under some orientations. Added support for the AutoCAD 2018 DWG/DXF file formats. Added support for the MULTILEADER entity. Added settings for whether to convert text to shapes or not when exporting to PDF or SVG. 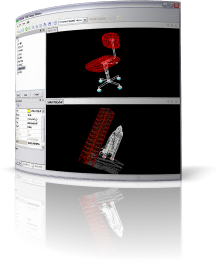 View DWG files (versions 13, 14, 2000, 2004, 2007, 2010, 2013, 2018). View ascii and binary DXF files (versions 12, 13, 14, 2000, 2004, 2007, 2010, 2013, 2018) (these may be zipped). See CadLib for more details about supported entities. Supports wireframe and OpenGL surface rendering. Interact with the view (rotate/pan/zoom). Left mouse button: rotate. Right mouse button: pan. Middle mouse button or left mouse button + shift key: zoom rectangle. Scroll wheel: zoom to mouse position. Layer view for enabling/disabling layers. Entities in layers can be expanded. Properties view where properties of layers and entities can be viewed. Shx and true type fonts are supported. Shx fonts are not supplied though. These can be downloaded from somewhere else and put in the application folder. 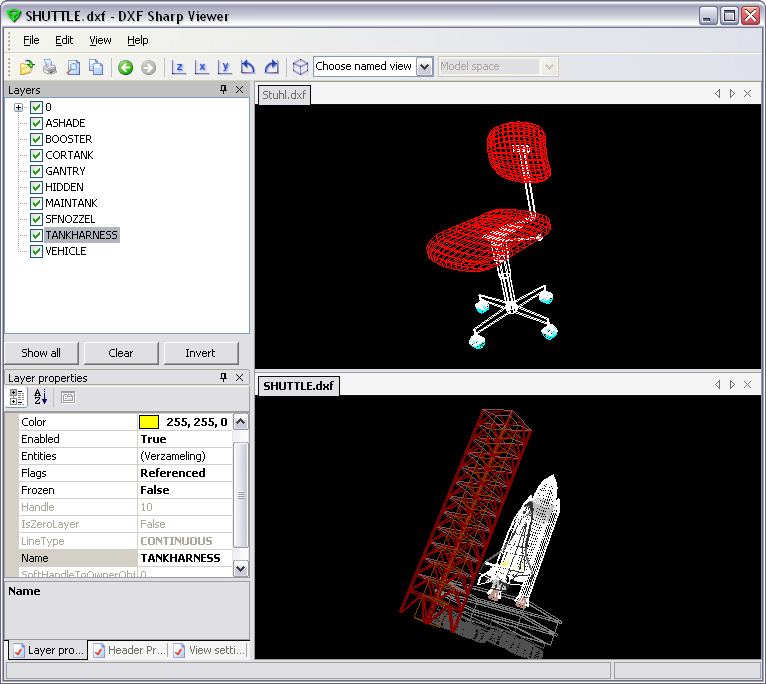 Drag and drop DXF files onto the viewer. View compressed DXF files (zip, tar, bz2, gz). Very fast loading of DWG/DXF files.